Golden Lightning Bolt Charm is electrifying! We love adding super sweet charms to our necklaces. These add that really bold statement to your necklace or bracelet. Charm necklaces can really bring back the memories or special occasions that you want to be reminded off. 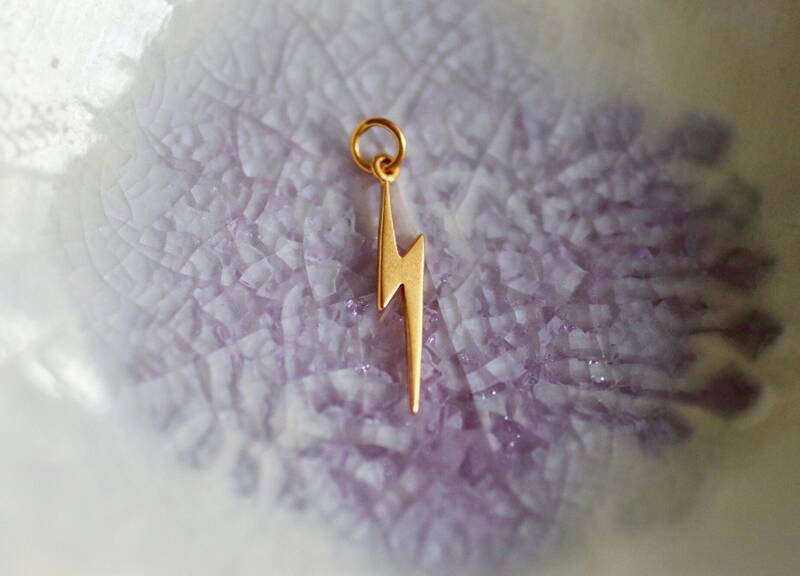 Lightning Bolt Charm measures 20mm in length by 4mm in width.